How’s everybody doing? I’m sure you’re all equally as frustrated with the yoyo-like weather we’ve been dealing with here in eastern North America. It seems like there have been more storms in Texas this winter then here in New Hampshire. No, that wasn’t a political statement, but damn near reality. But, before you just give up and wait for the warm, dry rock to return let me just say; While snow and trail conditions are stuck in December, the ice conditions in Huntington Ravine are already looking like April. The ice climbing right now is phenomenal! No sense in waiting for it to get better, don’t take the chance. Not this year. Trust me when I say it, the climbing is really good right now. So much so, we’ve been having tons of fun swinging tools in the “back yard”. The lack of snow this season might have a lot to do with my increased joy and pleasure in climbing waterfall ice. Also, I realized I can stop waiting for the fan to “fill-in”. Three quarters through the season, it’s probably not happening this year! But, If not for the lack of snow or deciding not to be lazy, it could simply be the great ice conditions that have gotten me into steep terrainwithout my skis! Pinnacle is so fat and plasticky right now, that “stick, stick, kick, kick” is as joyful and efficient as skiing a thousand feet of beautifully linked powder turns. My point is I think you should come to Huntington Ravine soon. 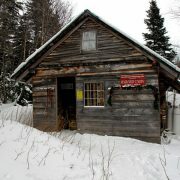 More importantly, you should spend some time at the Harvard Cabin! It’s good up here! As odd as it may sound, we just enjoyed our first weather event of the 2015-2016 season that I would categorize as a snow storm. Tuesday into WednesdayMt. 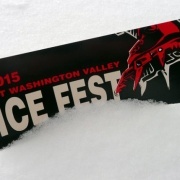 Washington collected about 8″ (20cm) of new snow. At times, it fell with the intensity of the multiple super-soaker type events we’ve dealt with this season. It was hope-inducing for sure. We dodged rain for just enough time, that I was able to make it to Hermit Lake for a top-to-bottom run on the Sherburne Ski Trail, my first of the season! 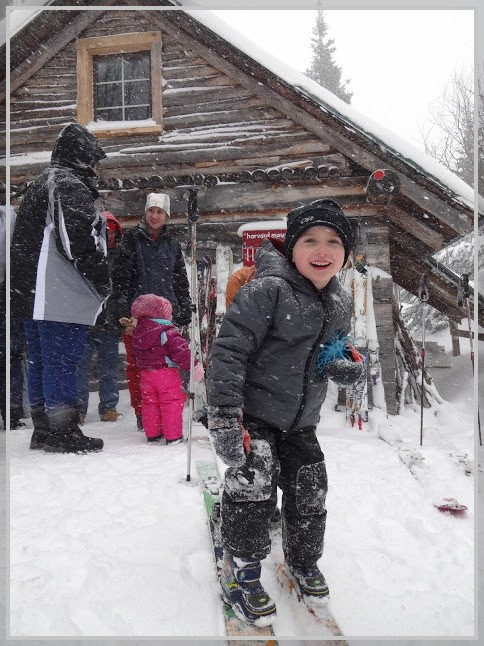 It was thick and sticky and not so much fun for making turns, but the snow was over our boot-tops and a desperate bunch of powder-hungry skiers and riders were happy just believing winter was happening, even if it was just for a moment. By the time we made it to Pinkham, precipitation began to switch over to snow/rain mix. A couple of hours later temperatures plummeted, winds began to rage, and the heavy, wet, tracked-out Sherburne would become an ugly two-miles of nasty, frozen mashed potatoes. In case my intro didn’t make things obvious, the ice is in and well-worth climbing even if the approaches are less then ideal. Without being crass, travel through the “bowels” of the ravine can be described accordingly. Still, things have much improved. Despite still following the summer hiking trail for much of the way, the trail is well-packed. Some pretty dense, wet-slab debris that cleared out all gullies during the last rain event (1.75″ Rain on Feb 24/25) has settled between many of the large boulder fields that still sprinkle much of the fan. This has helped to fill-in the ravine a bit and provide better “catch” for the snow that followed. 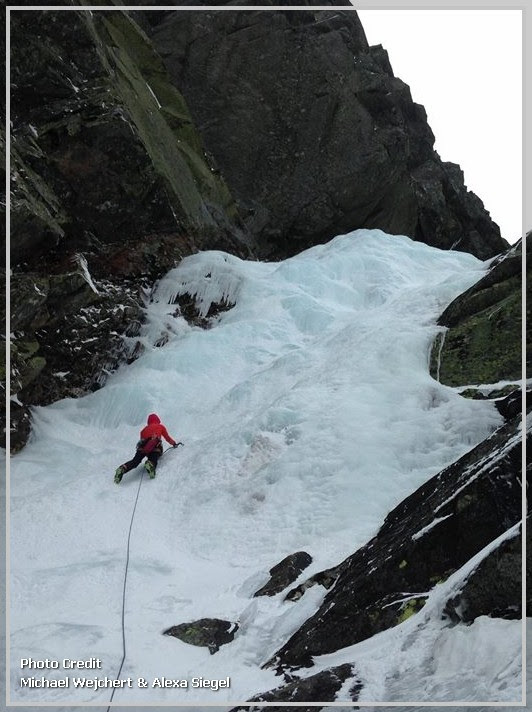 Point is, while wide-spread slope stability concerns are absent across much of the lower ravine area, crampons are still useful and provide somewhat speedy movement towards your intended climb. Snowfield development is still severely delayed down low. 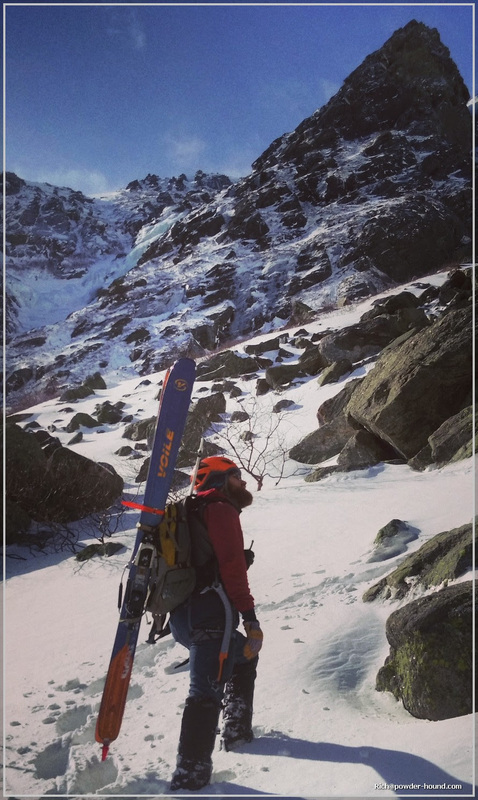 However, slopes are starting to come into season in the upper stretches of gullies, particular those with a northern aspect (Escape Hatch, South, Odell, (Hillmans Highway, Left Gully in Tuckerman Ravine). This past week, such gullies have begun to offer the possibility of a descent option other then Lion Head. While many climbers have made the bushwhack necessary to climb these routes, there is much better climbing to be had elsewhere in the ravines. Central and Diagonal Gullies have also made fantastic descent options given proper conditions. They have also been pretty scary to even look at some days. Central was awarded a danger rating of High only yesterday. I’m sure today’s wind event will have cleaned central bringing it back into condition for the weekend. Come on up, the weekend weather outlook is favorable. Bundle-up and stay attached, it’s going to be windy! Truth be told, this has been a tough season for Marcia and I. Besides the lack of winter, our 8 year-old nephew started experiencing unexplained seizures on December 1st. Long story short, symptoms persisted which led to the the discovery and resection of a 4.5 cm tumor from his brain on Jan 11. Two days later, we received just about the worst cancer diagnosis one could get – Stage 4 Glioblastoma Multiforme. After reaching out to cancer centers around the country, Landen began receiving radiation therapy in Hartford, CT. He is now into his fourth week of a 6.5 week course. I’ve spent an abnormal amount of time away from the cabin this winter. I spent my birthday moving Landen’s medical records around New England only to realize how overwhelmed with pediatric patients cancer treatment centers are. Talk about depressing. At a glance, it can seem like gaining treatment for certain types of cancer becomes competitive. This whole experience has been surreal. News and nervous phone calls from the fire road. Long walks down the trail in pouring rain so you can help your sister deal with a life-threatening diagnosis. For two months, I’ve been wanting and needing to be in two-places at once. Suffice it to say, it’s been difficult to keep the stoke factor high this winter. 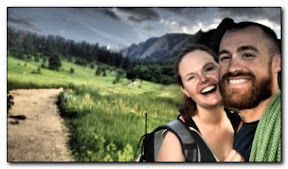 Sorry if that has been evident in my updates, caretaking, or cabin life..
On a personal note, Marcia and I have been able to balance the needs of the cabin and family life. Thankfully, we’ve been able to maintain our responsibilities at the cabin without interruption. I was uncertain of how the season would unfold. At one point, we were considering the possibility of needing to find a new caretaker in order to be closer to Tina and the kids. It’s been difficult. I can’t imagine how my sister is dealing with all of this. My heart goes out to her and all of those who’ve ever dealt with cancer in any capacity. It’s been really hard to go out and have fun this year realizing more fully that at any given time millions of people are dealing with this terrible disease. 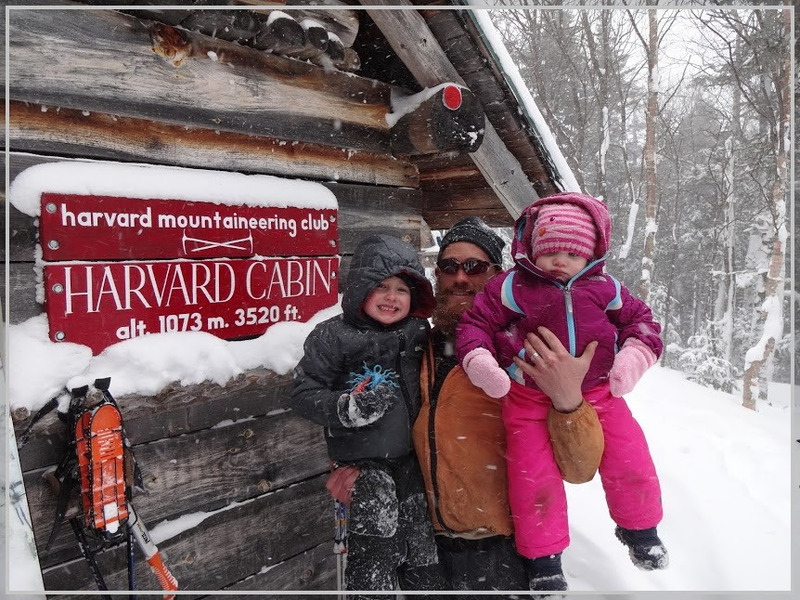 At the same time, it has really made me ever thankful for the Harvard Cabin and the lifestyle and relationships and “struggles” it has brought into my life. All good things. I am forever thankful and never take it for granted. Climbing in general has given me something that I can never stop being thankful for. Appreciating the terrain in which we are able to move and enjoy. The great climbing community of which I feel a part of. I am really fortunate. So much so that I feel guilty at times. Often left searching for ways to make sure I am putting more good into the World then I receive. That is the ultimate struggle. While I am thankful and appreciative of how my life has evolved, for the first time I am left wishing I had played my cards a little differently so that I could better support my sister at this moment. She is a single mom with two amazing children. She has been a strong example in my life of what is means to persevere, to stay the course, and to always demand excellence of yourself and those around you. She worked hard in college and continued to educate herself as she built her career in early-childhood education. As of late, she is employed as a social worker providing early childhood intervention for families with children with learning disabilities, but she is currently out of work on medical leave. Given the aggressive form of cancer, Landen’s treatment is intense and requires daily hospital visits. Following Radiation, Landen will begin receiving chemo therapeutics as part of a clinical trial at Sloan Kettering on Long Island, NY. If you interested to learn more about my sister Tina and my niece and nephew, Audrina and Landen, you can click here. Thank you for letting me share this part of my life with you. To end on a more upbeat note, I’m pleased to announce that I’ve been contacted by Mr. Ted Carman, the President of the Harvard Mountaineering Club circa 1962-63. To my great delight, Ted will be spending the weekend of March 19th, 2016 with us at the Harvard Cabin. In no uncertain terms, Ted is the Father of the Harvard Cabin. He built the place. He got the permission, he did the fund-raising, he had the itch that had to be scratched. He drew up the plans, literally, in his dorm room. He then went on to recruit volunteer labor and got the supplies uphill. Not bad for a college kid. Following his time as a Naval Officer, Ted went on to a career in non-profit community development. It’s no surprise that the construction of the Harvard Cabin is still listed on his CV. I’ve had the pleasure of meeting Ted on a number of occasions. In August 2012, I spent time with with him and members of his family at the Harvard Cabin in celebration of the cabin’s 50th Anniversary. In his words, Ted is looking forward to seeing the cabin in its winter habitat. With a little bit of luck, we’ll be in the clutches of winter come March 19th. While we can’t control the weather, we can ensure the cabin is full of alpine ice climbers and true winter mountaineers which is when the cabin in full-glory and serving its intended purpose. Let’s help show Ted the great effects and affects his vision and tenacity as a twenty-something have had on the east coast climbing community. 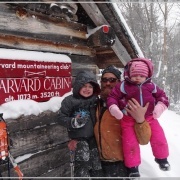 Please help show Ted what a great institution the Harvard Cabin has become over the years. Let’s fill the cabin with technical climbing teams! Come be part of share in the camaraderie that keeps me coming back season after season! Come meet the guy that has made a huge impact on everyone reading. 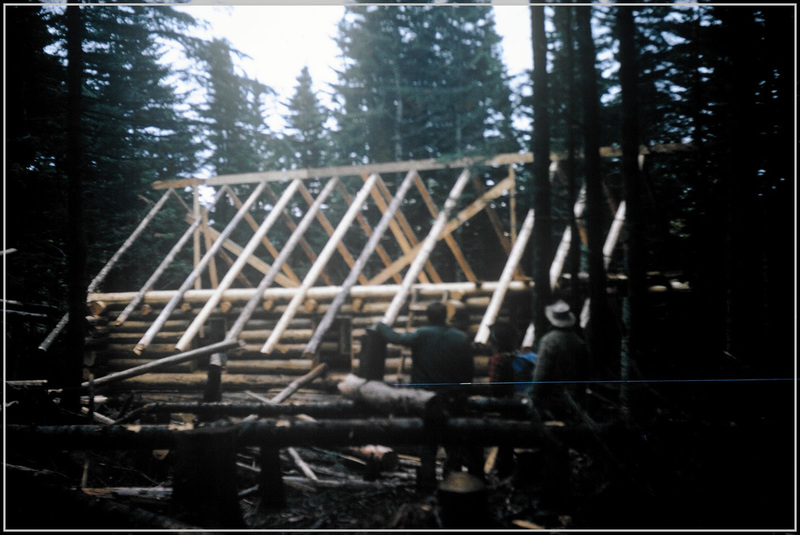 If you never read the store of the cabin construction, you’ll appreciate the article Three Sweaty Months on Mount Washington. The writing, as does the cabin, requires your full attention and appreciation. It is amazing!